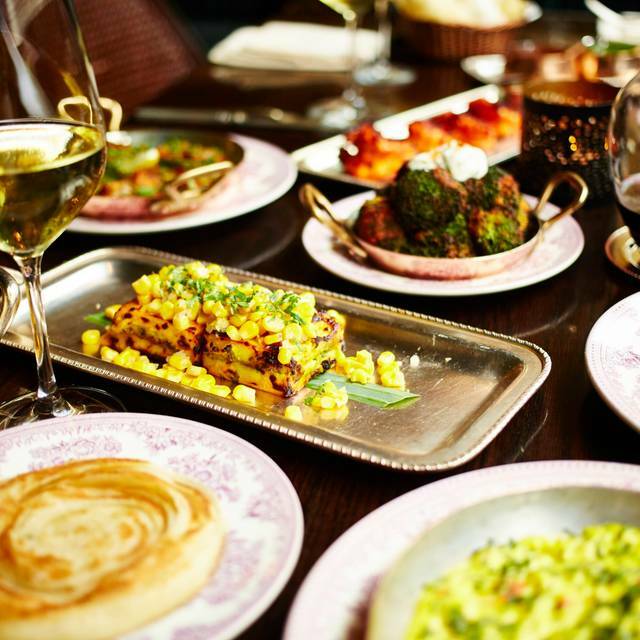 Located in Mayfair, Gymkhana is inspired by the colonial British-Indian ‘gymkhana’ clubs. 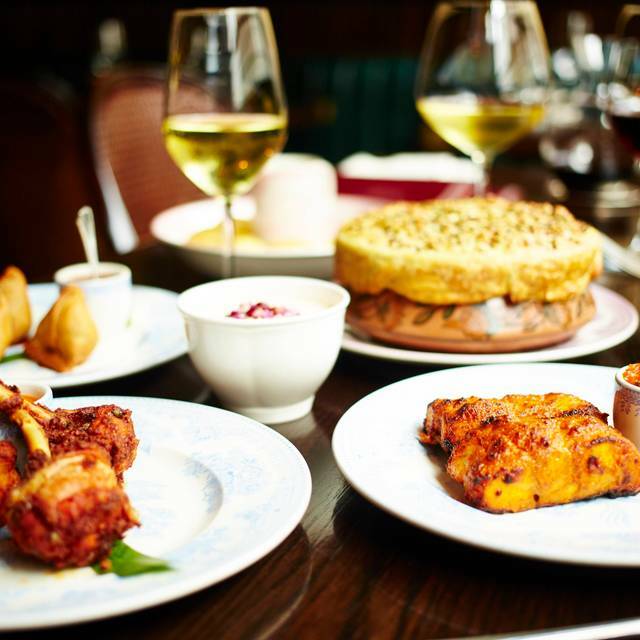 The restaurant serves contemporary Indian cuisine using seasonal British ingredients with a strong focus on the tandoori oven and chatpatta sharing dishes in a convivial environment. 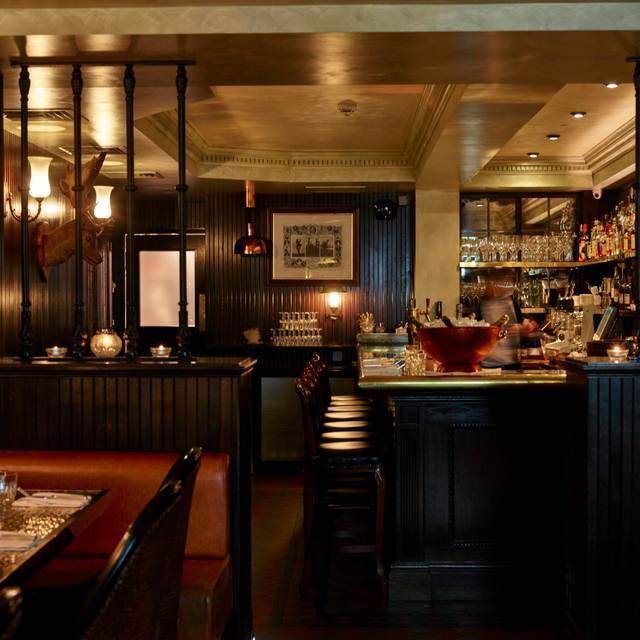 The bar at Gymkhana specialises in classic Indian punches and cocktails - fusing spices with Indian spirits and a carefully selected gin and tonic list. 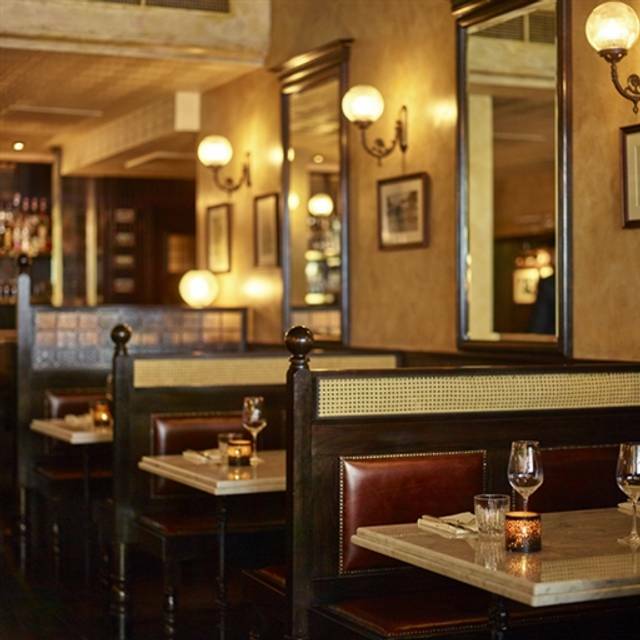 The dining room is flanked by marble tables and fluted, leather banquettes. 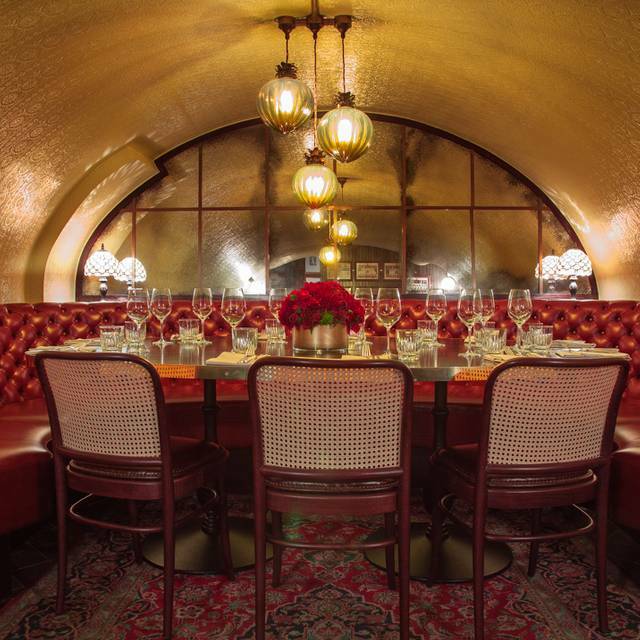 Gymkhana offers two private dining vaults either side of the lower ground floor with seating for 9 to 14 guests. Gymkhana was awarded a Michelin star in 2014. Every dish is very nice. We ordered lunch menu. And actually it's pretty enough for 2 people. We satisfied with the food and service here! I have to admit, I wasn't overly impressed with the overall experience, especially I had been looking forward to this booking for months. The food was nice, but not excellent. Two dishes stood out (tandoori salmon and the samosa chat (veg dish)). Service was fairly average, no dish explained unless I asked the waiter to do so. Tandoori chicken was a bit burnt, the Bhel was a bit stale. I would go back just for the two dishes I liked because the salmon was incredible. Have to say overall fairly average. My fiancé and I arrived for a 17 30 dinner reservation and were given an early evening set menu. The prices were very reasonable without compromise to the quality of food. The set menu allowed us to sample a wide variety of dishes, from paneer tikka to hariyali bream. Needless to say, we left quite satisfied and full. 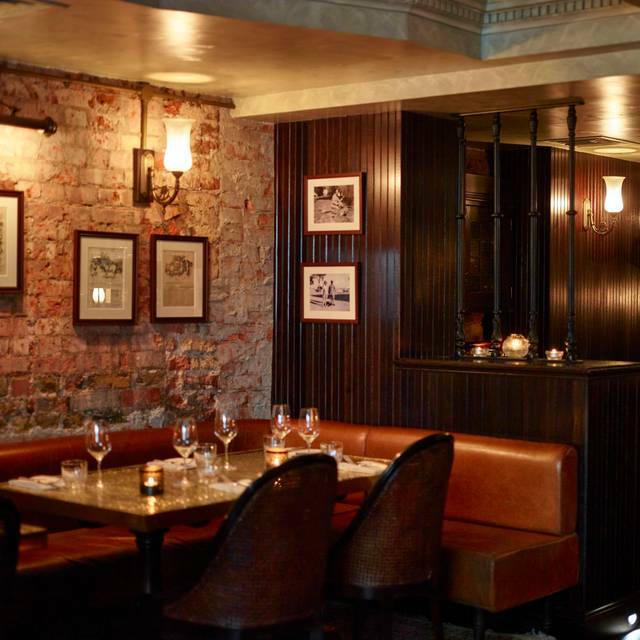 The restaurant itself is reminiscent of a British establishment, cosy yet sophisticated. Oh and the cocktails are divine. I would highly recommend! I took my husband there to celebrate his birthday and the staff couldn't have been more attentive. Food was absolutely delicious so would definitely recommend! I'm not sure why it took me so long to get to Gymkhana but me an my partner had an amazing experience on a Friday lunchtime. We have over the last 20years made a number of visits to India and the there were so many combinations of spices and taste notes that reminded us of what I call the true taste of India. We thought we had order just enough for two - for me 2 courses from the set menu and one of the 4 course menus for my partner - but we had a bit of an extravaganza. The salmon is wonderful, the kid goat rich and filling, the aloo chat fabulous, game biryani fantastic etc. The staff are friendly and very knowledgeable, never intrusive; they certainly facilitated a good and relaxing experience. The ground floor of the restaurant is nice but I liked downstairs, where we sat, which had a much more private club feel. All I can say is that my partner said he would be returning during the meal, outside the restaurant and back at home; no doubt we'll be returning with friends. Oh and the Kingfisher beer is the perfect drink for this incredible food. Superb experience. The Hunters Menu was excellent along with the wine pairing. Anna, who served us, was incredible. Great service. Fantastic food . Their lamb chops are delicious. Definitely will go back . The set menu is very reasonably priced available early bird offer . We celebrated two friends having their 50th birthdays. The food and drinks were outstanding and the restaurant (unprompted) did a special desert for the table at no charge. Items ordered (chicken tikka, prawn moilee, chicken tandoori) all super flavorful. The food & cocktails were really delicious. Good service. Great ambiance. Expensive but perfect for special occasions. Superb food, ambiance and service. 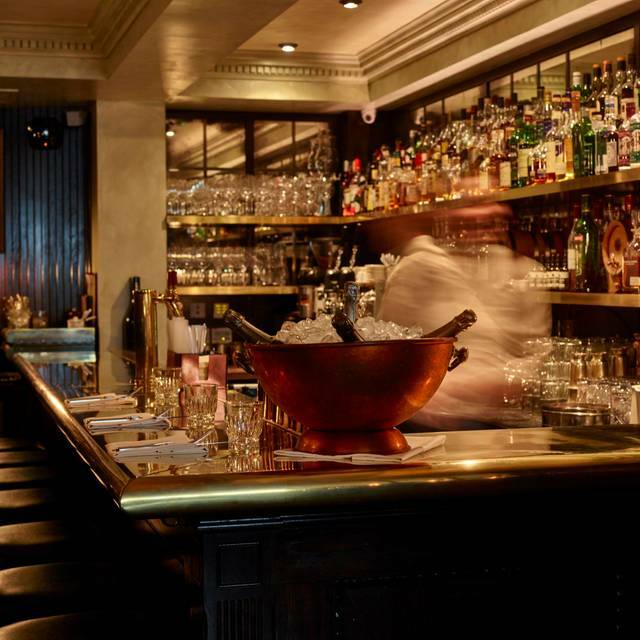 Always exceptional food and service and always a must every time we come to London. Some of the best Indian food we have have ever had. Just a fair warning - ask the wait staff about the level of spice in the dishes before ordering if you are sensitive to spice. Some of the dishes will knock your socks off if you order them. Great staff, so attentive, polite and friendly. Very accommodating when I said I had a nut allergy and was vegetarian. Food was not as good as I had anticipated, but great portion sizes and value for money. Went at lunchtime so didn’t get the full ambiance as say dinner time when it’s darker outside. Overall would go back again though! Food was amazing. Service was great. Not too spicy even though they tell you it’s really spicy which is good. It’s one of the main reasons I come to London regularly! 2nd time I have visited London with my family in the last few months, and the 2nd time we have eaten at Gymkhana. Both experiences were consistently superb.... the balance of flavors in their dishes is excellent...butter chicken, okra, eggplant, chole...all very good. One of my biggest peeves is having a great experience one time and going back the next time and the food not being the same. This is not the case at Gymkhana. Service was fantastic and the decor perfect...a throwback theme to a long ago era. Well done!! I wanted to try Gymkhana after reading the reviews, but the awful service made the entire experience dreadful. My reservations were at 2pm, but I didn’t leave until 4:15 since no one came to clear our table and to give us our bill. I had to ask for the menus and had to ask for water. This was by far the worse service I experienced in London. 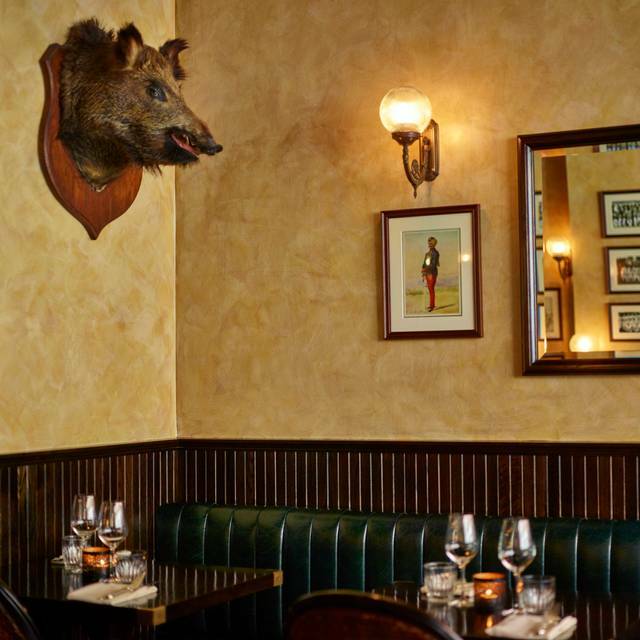 This is unacceptable for a supposed Michelin Star restaurant. We had the lunch tasting menu- absolutely fantastic. Service as well was great. Hella spicy but delicious. Very good food and service was highly attentive. Amazing, to die for appetizers. Didn't get as lucky with main course. Chicken chunks in masala could have been better. Sag paneer texture should be less like creamed spinach and more like curry. Nan can be better. I still cant wait to go back and try different stuff. Hands down best fine dining Indian I’ve ever had, inventive and authentic at the same time. Cocktails were also amazing. Fantastic service and even better food. Will be our first stop next time we are in London. We had a fantastic meal. We were mistakenly late for our reservation between lunch and dinner. The staff was very gracious in accommodating us after our mistake. Every single item we ordered was scrumptious! We had a really wonderful lunch at Gymkhana. Special thanks to the waiting staff for their excellent service, everyone was very friendly, welcoming and helpful. The birthday candle was a nice extra touch, much appreciated. The food was a culinary delight. Thank you! Awesome food and ambiance. Perfect! 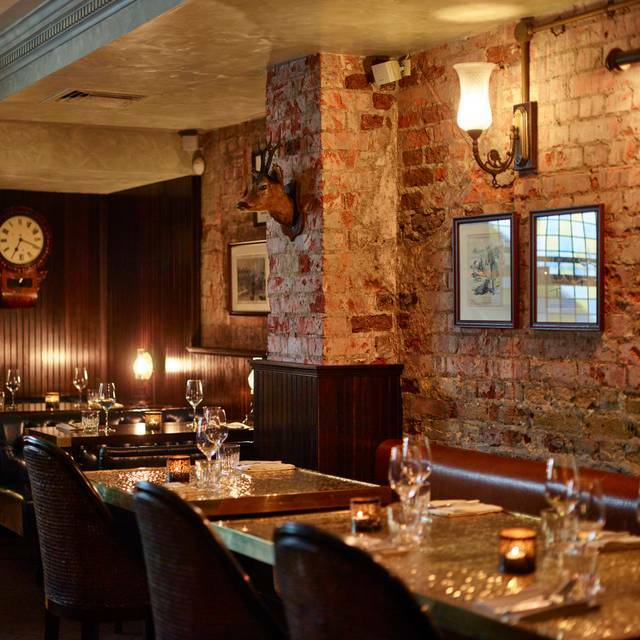 Delicious food, great cocktails, lovely attentive service. We booked a table for 2 at 2:30pm to have my BDay celebration lunch. This was our first time visiting Gymkhana following a lot of positive reviews. We arrived slightly later, approx at 2:40. The waiter gave us the menus, announced that the kitchen wad closing in 5min and disappeared. We were lost thinking that we had to leave as we couldn’t order this quickly without any help from the waiter. Then we fought him and asked to clarify if we still had time to order but instead he offered us to speak with the manager. The manager arrived and explained that we could stay and still had time to order food. Stressful and rushed welcome made us feel really unwelcome but we decided to stay as we had no alternative plans. We simply quickly followed food advice from another waiter. The food was too spicy for our taste. Unfortunately the waiter didn’t tell us that it’s the “real Indian food” which was very spicy. I couldn’t finish half of my food. Overall disappointing experience thanks to a bad welcome and rushed ordering. Wouldn’t come back or recommend visiting. The muntjac biryani is to die for, but all the food was great. The service was warm and knowledgeable but seemed a bit overwhelmed at times. Highly recommend. The best Indian restaurant that I’ve ever eaten - the menu isn’t extensive but absolutely superb. The care and attention from the staff, whilst not intrusive, is exceptional. Our waitress notice I was struggling with the level of spiciness of my dish and, without asking, she brought me a mango lassi - outstanding service! Delicuous flavourful food matched with cheeky cocktails or confident wine pairings. Try the kid goat! Critically this place doesn’t use spice for its own sake but rather to tanstilise and tempt your taste buds. Definitely worth the trip to this tucked away oasis oozing with flavour. As with all good dining experiences staff were friendly fun and obliging. Hand’s Down BEST Indian food we have ever had. Every dish was superb and we were only sad we didn’t have room to try more. Our stand out dishes were the Kid Goat appetizer (with addition) and Chicken Butter Masala to die for. All of servers were very friendly and helpful.